Eugene Keith Pensinger, 91, of South Haven, passed away Wednesday, December 5, 2018 at the Bronson Hospital in South Haven. 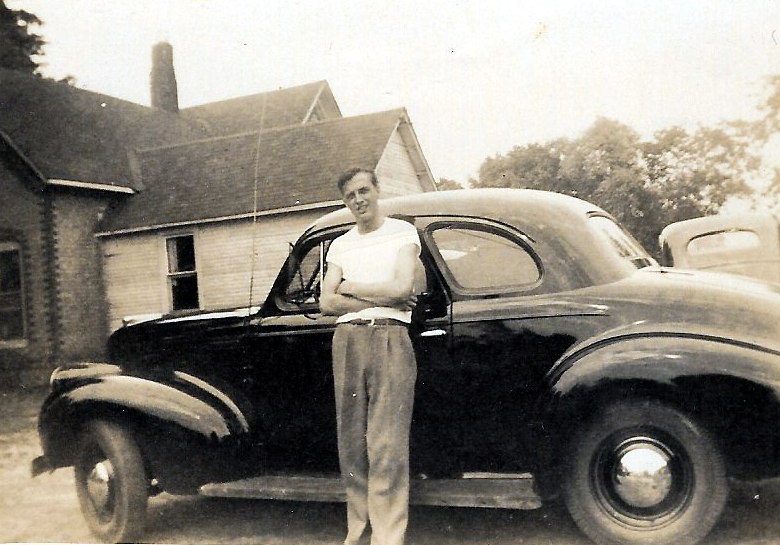 He was born July 15, 1927 to Loren and Mary (Jensen) Pensinger in South Haven. Eugene honorably served his country in the United States Army during World War II. Eugene enjoyed nature walks, family dinners and fond memories of Jericho and Central Schools. He enjoyed growing zucchini and strawberries on the same family farm he was born on and resided on during his long and happy life. He is preceded in death along with his parents by siblings Harry and Bob Pensinger, Grace Drexler, Virginia Gilbreath and Irene Bennett. Eugene is survived by his brothers, Loren, Sr., George, LaVerne, and Glenn Pensinger as well as many nieces and nephews. Visitation will be held from 10:00 AM to 11:00 AM on Saturday, December 8, 2018 at the Filbrandt Family Funeral Home in South Haven. Funeral services will follow visitation at 11:00 AM at the funeral home. Eugene will be laid to rest at Chambers Cemetery in Geneva Township. In lieu of flowers, the family asks for donations in Eugene’s name be made to the Al-Van Humane Society of South Haven.